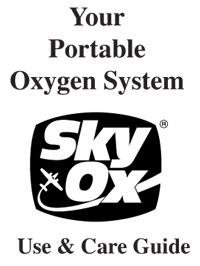 In Flight Every pilot knows you never leave the ground without a fully charged oxygen system. It is a matter of life and death because of a condition known as hypoxia. Hypoxia is a condition caused by a decrease in available oxygen at higher altitudes. This condition can affect individuals differently, but following are what some people may experience at various altitudes. Drowsiness, fatigue, headache, and impaired judgement. Symptoms are generally undetectable during flights of less than one hour. However, on longer flights (especially four hours or more), symptoms can become progressively more noticeable and dangerous.14,000 ft. Some people experience euphoria, become belligerent, exhibit overconfidence, impaired judgement and a decreased attention span. Some are likely to experience decreased muscle control, blurred vision, memory lapses and may even pass-out. The longer the flight, the more noticeable the symptoms which nearly always occur during flights of two or more hours.